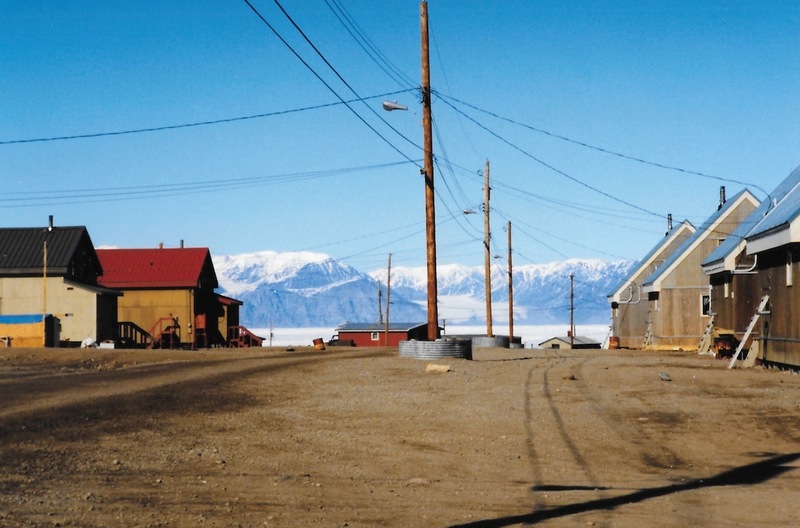 “Is this your first time traveling to Pond Inlet?” Rebecca had asked me in 1994, as we bumped along in the open back of a truck. It was 1 a.m. that June day and we were returning to the airport in Clyde River in northern Baffin Island where our airplane had broken down earlier.I told her I’d been traveling since 4 a.m. that morning, for 22 hours already. “Now, you know how long it takes to get to Pond,” she joked. 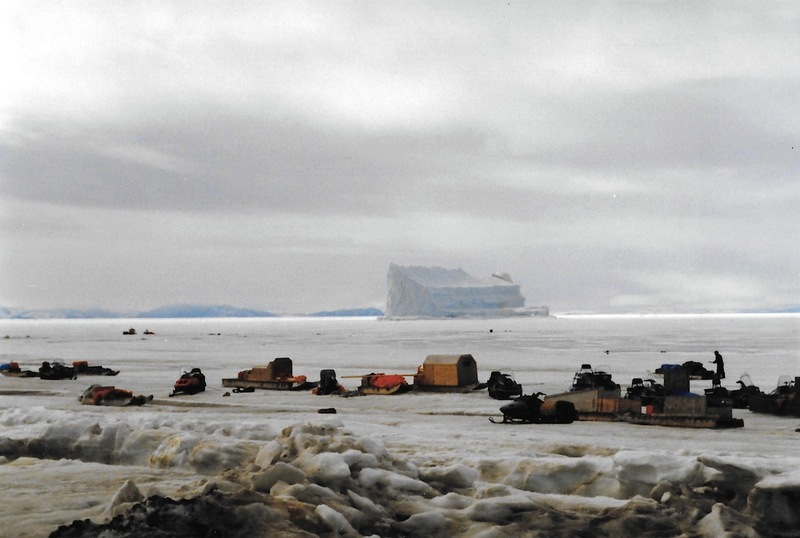 In 1994, it was already possible to leave Montreal in the morning and arrive via Iqaluit to Pond Inlet by 8 p.m., but, on my first trip to Pond Inlet the plane ran into mechanical problems at a stopover in Clyde River. The mountains beyond Clyde River were somewhat gold, completely clear and still in the cool late night air. I walked around the tarmac, contemplating icebergs out in the bay beyond — a set of blocks and triangles in ice. Finally, we were ready to leave. It was nearly 3 a.m. by the time we landed in Pond Inlet. A few snowflakes were falling. 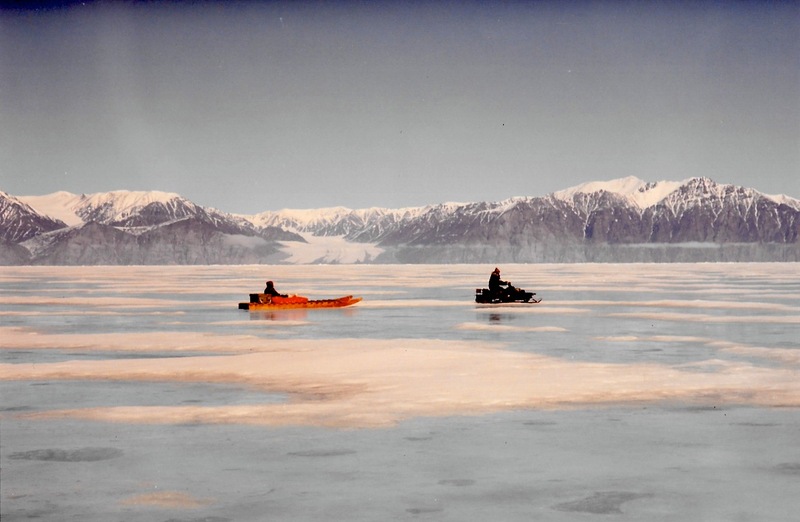 Bylot Island, across from Pond Inlet, was shrouded in heavy fog. But it was still as light as midday here: I was 644 kilometres north of the Arctic Circle where the sun shines constantly from May to July. The next morning the clouds completely vanished, and I ventured out into Pond Inlet. An Arctic combination of sun, ice and sand gave a cold-beach lift to each breath. In my mind, I carried a picture of this community as it was in the 1950’s when Peter Murdoch managed the Hudson Bay trading post here. I remembered his stories of dog-teaming across the ice, of hikes on the tundra. In those days, only the white clapboard trading post and a few other buildings hugged the edge of the water. Inuit still lived off the land, in tents in the summer and snow houses in the winter. 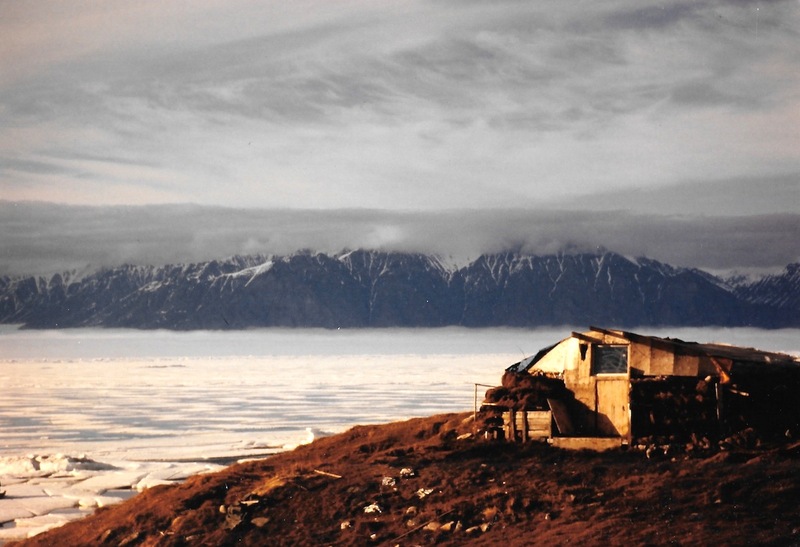 On the hill overlooking the sparsely populated shore, a huge sign spelled out “Pond Inlet” in white stones. In 1994, this sprawling community of about 1,100 filled the shoreline. There were two schools a library, government offices, a shopping mall, stores and homes built along the beach, up the hill and beyond. 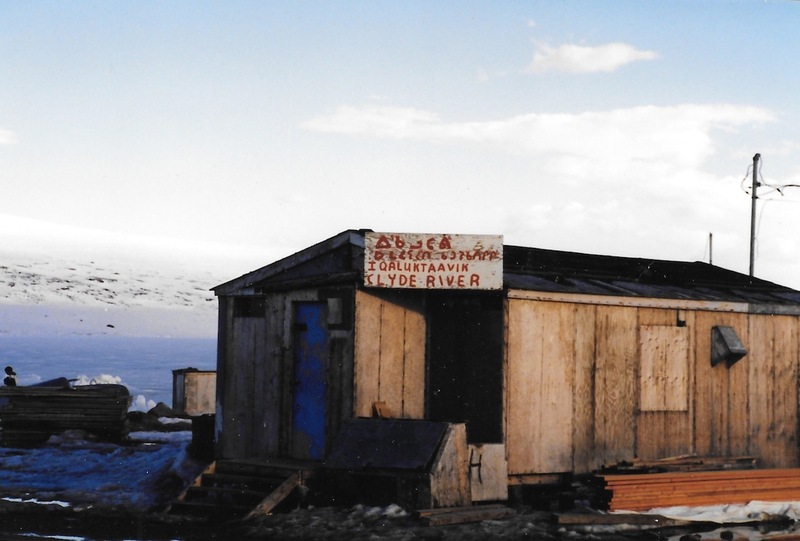 And only a shadow of the sign that read “Pond Inlet” remained. The stones had tumbled out of place, down the hill to the shore. Bylot Island, whose mountains face the community, though never changed. The steep cliffs appeared to completely fill the view on some clear days. Glacial rivers of ice flowed down through the peaks to the frozen waters of Eclipse Sound — like they always have done. Many snowmobiles were parked on the ice along the beach, and the few teams of sled dogs were hitched a bit further out. They ran no risk of sinking through the ice. At this time of the year, the surface of the ice melted under the 24-hour sunlight, yet it was still several feet thick and strong enough to hold considerable weight. Even so, deep crevasses were opening up, filling with streams of water. I had to leap from edge to edge on one late-night walk. My destination was an enormous iceberg with an elegant, curved top, but I never made it. Instead, I wandered around in maze of islands made by the water on the ice, before suddenly noticing the hour — almost midnight. The next day, I decided to visit my travel companion, Rebecca, at her home. An elder, Isipi Qanguk, joined us. I wanted to interview him on what it’s like to live in a place where people spend months in the dark, and months in the light — for a CBC radio documentary. But our talk turned to life and death, and his memories of this time of year when he was a young boy. Then, Qanguk told me, his parents left to go hunting in the spring. They left him in the care of his grandparents, planning to return for him. “But they didn’t come back,” Qanguk said. His parents were much later found dead in a snow house. “I always expected that they would [come back]. For years and years, I still waited,” he said. The return of light, he said, reminds him of a pathway to heaven. Two days after we talk, Qanguk suffered a heart attack and died, and I worried about the story he told me that morning: Did he know he was going to die somehow? Years later, I still can’t bear to read the transcript of that interview. Among the others I met in Pond Inlet — a woman whom Murdoch asked me to look out for and send his greetings to. I can no longer recall her name. 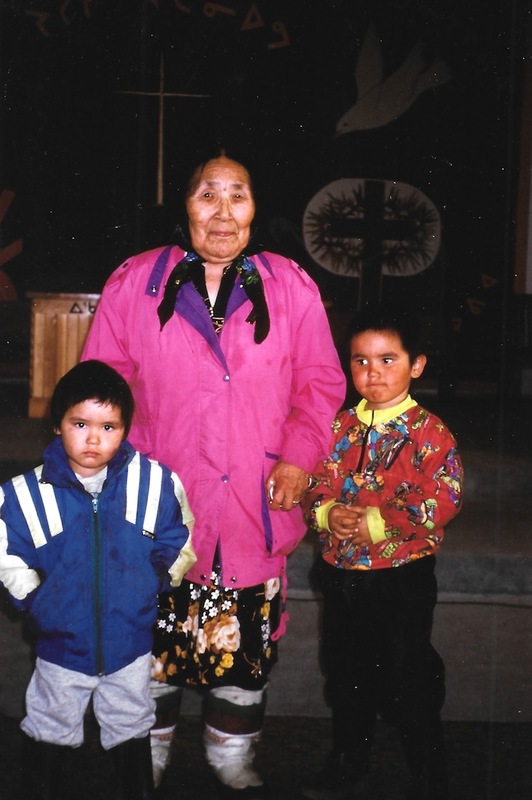 But I took a photo of her with her grandchildren in 1994 and made sure Murdoch got a copy later. During that visit, an Inuk woman who works for the federal government, came to find me. Her business? She had heard I was talking to people around town. Do I have a permit to talk to them, she wanted to know. I am a journalist, I explained, working on stories that will be shared with the community and that, in Canada, Canadians are allowed speak to each other and to members of the media without needing permits to speak to each other — even in the North. Like an iceberg’s “At the edge of the world” continues April 30.